A joint effort between the National Police and the Guardia Civil has resulted in a huge drugs bust. Police have seized 3.7 tonnes of hashish, worth over €17 million. 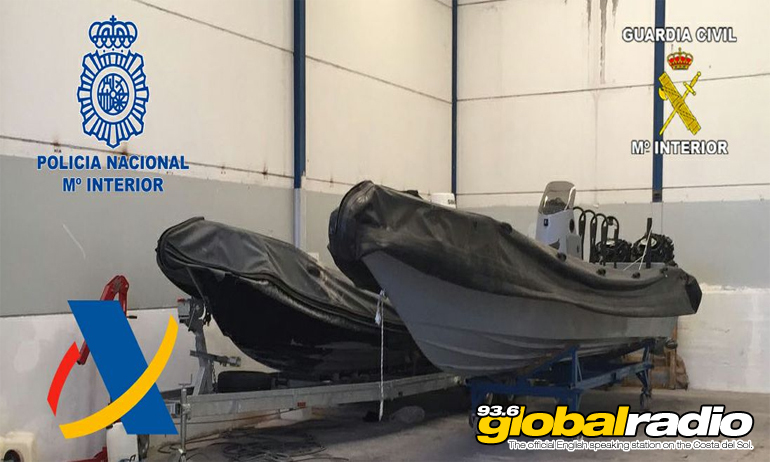 Alongside the drugs, police have also seized three modified speedboats, a fishing boat, a yacht, guns, nine cars, and over €100,000 in cash. The 18 month operation began when police started to monitor a boat which docked in Marbella regularly. The vessel was being used for trafficking by a gang based near Cadiz. In total, 8 people have now been arrested in connection with the operation.